New Menus, Uniforms and Plating also introduced. The hundreds of thousands of sports fans heading to Buffalo Wild Wings this March to watch the games can expect to see and experience a new Buffalo Wild Wings when they step through the doors. Starting this month, all menus will have an updated look and feel, featuring new craveable food and beverage items. The menu refresh is led by the fresh, never frozen All-American Cheeseburger that comes fully dressed as a double-stack with American cheese, mayo, mustard and pickles on a toasted challah bun. In addition to the All-American Cheeseburger, updates to the core food menu include a new Salsa, Hatch Chili con Queso and nacho offering. New queso prepared with Young Guns Hatch Chile, melted white cheddar and house-made pico de gallo. New Ultimate Nacho with house-made tostada chips, double-layered with Hatch Chile con Queso, pico de gallo, jalapeños, lime creama, cilantro and tomato salsa. 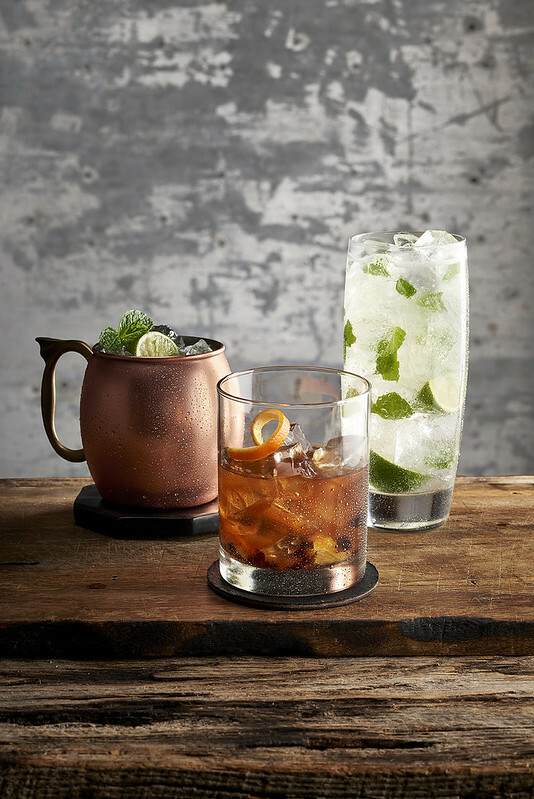 On the beverage menu, classics are king with the addition of an “Old Fashioned”, “Moscow Mule” served in an authentic copper mug and a “Mojito”. All Buffalo Wild Wings restaurants nationwide will be introducing new plate ware offerings that will replace the disposable serving boats and plastic ramekins. This new plate ware will eliminate over 700 million pieces of paper and plastic products that were previously used annually. A departure from the classic fold-out pages, all new menus have an updated look and feel with a hard back and pages that prominently feature the new food and beverage items. Additionally, The Buffalo Wild Wings team members will also be sporting an updated look and feel. The new uniforms feature casual-styled t-shirts with the logo proudly displayed.